Among the multitude of issues addressed by authors in the burgeoning field of science and theology the most fundamental is that of divine action in the world. How might believers best understand God as truly acting in the realms studied by the natural sciences? Several specific questions arise in this context: What implications do contemporary theories about the origins of the universe have for the doctrine of God as "Creator of heaven and earth"? When cosmologists and biologists talk about the evolution not only of galaxies and solar systems but also of various forms of life on earth, what does this say about the doctrine of divine providence? If human beings evolved from earlier organisms, as the vast majority of scientists believe, what changes might this portend for the way we talk about the "human soul" and the way we either affirm or deny a spiritual element in other living beings? If scientists are correct in predicting the eventual demise of the solar system, how might these predictions affect the way we understand the traditional Judeo-Christian hope for "a new heaven and a new earth"?These are some of the questions that this book sets out to answer. 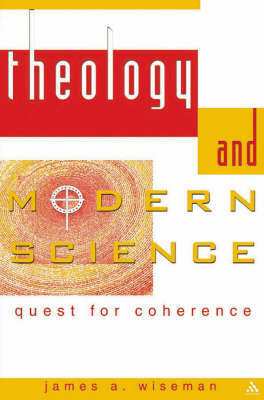 Though many of the issues are rooted in Christian theology, the book addresses them in a broadly ecumenical way that will be both informative and thought provoking for anyone interested in the lively contemporary debate between theology and the natural sciences.